For keeping the memorable moments of life safe for years to come, a beautiful photo frame is a perfect option. It serves the purpose of keeping the photo intact. It keeps the photo safe and sound condition without any kind of impact done by the external environmental conditions. In addition to this, with little decorations, jute photo frames can easily enhance the look and feel of the photograph making the moments more special. Photo frame is available in a variety of materials like plastic, metal, etc. Jute is one of them that has created a craze among people with its attributes. Beautiful pictures when kept in decorative jute photo frame, it adds a striking look to the room walls. It just gives a fascinating look to the interiors of the establishments with its unbeatable splendor. Jute photo frames are available in a range of charming designs, styles & colours to match up with any kind of dÃ©cor. It is reckoned in the markets as the lively products not only to add life to the interiors but also to keep the environment eco friendly and green. Jute photo frames can be gifted to friends, newly married couples, family members, etc. to keep their photos with them safely forever. 100% bio-degradable in nature, jute photo frames capture the wonderful memories without any wear and tear. 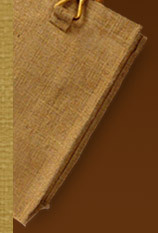 As jute is one of the strongest materials, frame made from it, is known in the markets for high durability and strength. Its sturdy nature allows the frame to last longer with no abrasion. The photo frame of jute is carved intricately with various embellishments like stones, beads, gems, mirrors, patch work, and so on to add uniqueness to the frame. One of the greatest benefits of these jute photo frames are their affordability. It is available at very reasonable prices if compared to frame of other materials.